You can choose either the soft mode or fast mode to select the fan speed. Soft mode : The wind blows gently. 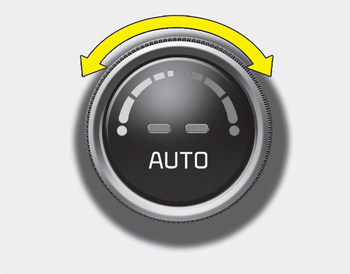 Fast mode : The wind blows heavier than the soft mode to reach the selected temperature fast. 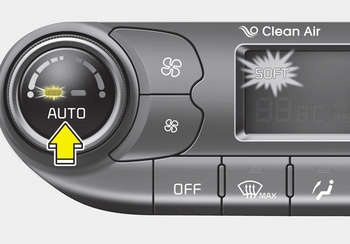 - Fan speed control button The selected function will be controlled manually while other functions operate automatically. 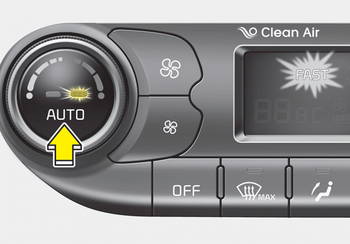 For your convenience and to improve the effectiveness of the climate control, use the AUTO button and set the temperature to 22°C/71°F (23°C/73°F -Except Europe). 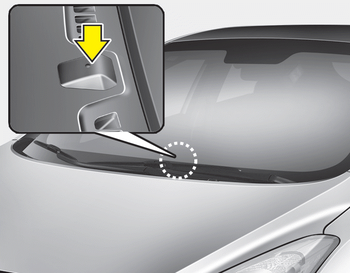 Placing any object over the sensor on the instrument panel may interfere with the heating and cooling system.